Version control is an integral part of the web development workflow, and it is no less necessary with WordPress sites. However, getting a WordPress site set up with version control, or more specifically, with Git, can be challenging in several ways. Knowing what to commit to your Git repositories and what to ignore can be challenging. Syncing database changes can be similarly so. And WordPress, with its ease of updates and additions straight to live sites, makes it incredibly easy to update the live site directly, disrupting the version control process. 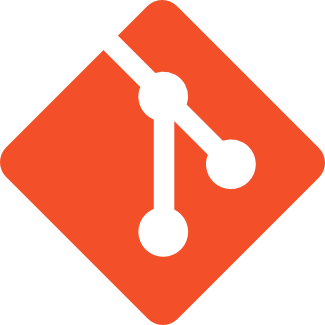 Below are a few options for using Git with WordPress, some information about VersionPress, the well known Git plugin, as well as a brief mention of hosting-based Git implementations. Regarding your database connection, you should do one of two things: Either use the same exact database name and credentials in development, staging, and production environments, so that there is no difference in your wp-config.php database connection info, or else .gitignore your wp-config.php entirely so that it doesnâ€™t get overwritten with the info from your local development environment. Speaking of things to ignore, you should also probably .gitignore your uploads directory. Itâ€™s unnecessary to be syncing uploads, and uploads are the one thing that may be added to the production file system only, so no need to cause unnecessary sync problems! Disabling certain abilities within WordPress can be useful as well. Disable automatic updates by adding define( 'AUTOMATIC_UPDATER_DISABLED', true ); to wp-config.php. This will stop the automatic updates from occurring altogether on the productions site. Disable the admin panelâ€™s file editor by adding define( 'DISALLOW_FILE_EDIT', true ); to prevent it from being used to modify theme code and other files on the production site. Or, stop themes, plugins, etc from being modified or added at all (rendering the previous wp-config.php suggestions unnecessary) on production with define( 'DISALLOW_FILE_MODS', true );. This ensures that all updates are first done in a development or staging environment, and then pushed manually to the live site. Note that usage of any of these restrictions should be coupled with creating a process to ensure that updates are regularly performed. Automatic updates exist for a reason, and if you donâ€™t ensure your sites are up to date, youâ€™re making them less vulnerable from one type of risk and more to another. Backups created manually or by plugins should be stored somewhere outside of the Git repository (preferably to an offsite or cloud backup). VersionPress is an alternative to traditional Git repository usage with WordPress websites. Installing VersionPress is as easy as any other plugin! As part of the installation process, VersionPress will check the prerequisites that it requires on the host system, and warn you or stop the installation if they are not present. Once youâ€™ve got it installed, youâ€™re good to go! VersionPress tracks every change to the site – added, modified, and deleted posts or pages, plugin changes, etc. You can see a list of tracked events, and you can click â€œUndoâ€� next to any single event to undo that specific past event, or you can click â€œRoll Backâ€� to roll the entire site back to the state that it was in at the time of that event. Pretty cool! On top of all of that, power users can use their normal Git client to manage the VersionPress install, since every action and command that VersionPress performs is powered directly by Git. Some hosts provide their own version control services, allowing WordPress admins to benefit from the use of Git repositories to control their site, without having to set up a repository somewhere and maintain it. SiteGround , for one, uses a Git powered cPanel plugin to offer version control services from right within your cPanel, making it very easy to use. No matter what you choose, version control is still very achievable for WordPress admins, and itâ€™s the best way to keep your site updated, safe, and easy to manage!